The hamlet of Priddy, Texas, is little more than a wide spot on Hwy. 16 in rural Central Texas. The unincorporated town has no stop light, one deli and two churches. But surprisingly one of those churches is making a global impact because of a partnership with a young couple an ocean away. 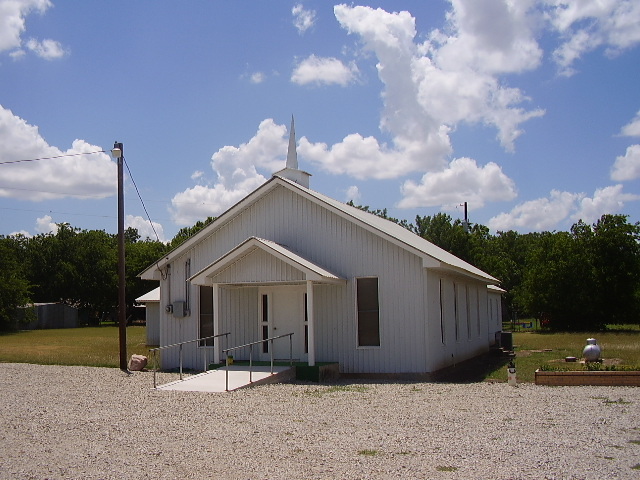 Priddy Baptist Church is a tiny congregation of about 30 members set in sparsely populated Mills County – which boasts six people and 54 head of cattle per square mile. 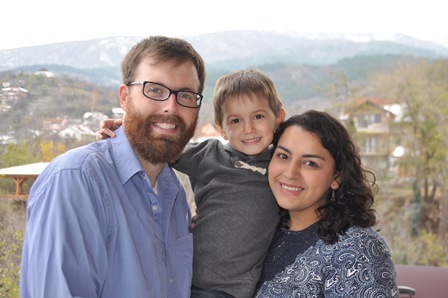 But Priddy Baptist gives more than two-thirds of its annual budget to missions and benevolence, including financial support each month to Alicia and Jeff Lee, CBF field personnel appointed to Macedonia two years ago. Laura Horton is a retired teacher who raised her own children in PBC while living 16 miles south in Goldthwaite. Her kids are grown now, and she recently moved to Waco to help care for the grandkids. But she still commutes on Sundays – 90 miles one way – to attend the little missions-minded church she has fallen in love with. But more than its friendliness, it’s the congregation’s global vision that keeps her there. She credits pastor Butch Pesch for cultivating that commitment from the moment he became pastor at Priddy Baptist 26 years ago – with six people in attendance. “I asked the Lord to help me to build a mission-minded church, and through the years it has happened,” said Pesch, who once felt called to missions himself. The church has supported CBF global missions since the Fellowship’s inception but in recent years has added direct support for specific field personnel families like the Lees and their predecessors, Kathy and Darrell Smith and Arville and Sheli Earl. “If there’s money left in the bank, then we’re not working hard enough to find people to help,” Horton said, only half joking. Horton recently spent 10 days volunteering with the Lees in Macedonia, part of a small mission team sponsored by First Baptist Church of Abilene, Texas. She is the first member of the Priddy church to visit the mission field, despite the church’s two decades of support for global missions. “We love field personnel and love to have them visit in our church,” said Pesch. “Since we are small, we enjoy the personal contact with these field personnel. They visit us – some annually and others about every two to three years. We get to know them and their families in a more personal way and get a feel for what they are doing and enduring on their mission field. Pesch has served as pastor of larger churches, but he got discouraged when denominational controversy sowed division in his congregation. He left a larger church to become pastor of Priddy Baptist, where his only pay is his health insurance premiums. Learn more about the ministry of CBF field personnel Alicia and Jeff Lee here. And find out ways that you and your church can partner with these CBF field personnel serving in Macedonia. I was with Laura and that team supporting the Lees in Macedonia. What a blessing a church with a heart like that is!! Praise God! What a blessing to hear about the church in Priddy! It sounds like the one that sent out Paul and Silas. We thank Butch Pesch, our former neighbor, for his response to the call he has received. His ministry in Abilene was a Great gift to us all. Thanks also to Dr. Moak, the Driggers, Laura Horton, and the others who recently visited the Lees. They have our support too.